As the head of a staffing firm, you will at some point have to consider your succession from the firm. This could involve one of several scenarios: outright sale of the firm, an exciting merger and new venture, sale to a current partner or even internal succession. Whenever you sell your staffing firm, and whatever your reasons for doing so, one thing remains constant: you will be looking for the best possible valuation for it. A good valuation can mean the difference between a good or great retirement pot or alternatively it could mean the difference between a modest or healthy venture capital fund for a new business venture. With so much at stake, it is imperative that the valuation potential of your staffing firm is not left to chance and that you take active to steps to build and develop your staffing firm in a way that maximizes the longer term resale value of the business. This is while balancing your immediate month-to-month needs for financial sustenance from the business. Before you can begin to develop your business in a way to maximize its eventual sale value you should have a clear understanding of how a staffing company is valuated. Fortunately, this is reasonably straightforward as it follows the general principles of business valuation, e.g. Earnings X Multiple = SALE PRICE. But, what is the mystery multiple, you may ask? This is the crucial point as it depends on the perceived health of your staffing firm as measured by several key performance indicators, which are composed of both external and internal factors. External factors typically include items such as: general industry growth potential, local economy, staffing market segment, and whether you have other interested suitors. Internal factors include indicators such as: EBITDA, ratio of temporary placements to overall business, duration of contract/exclusivity agreements with clients, how diverse your client portfolio is, and the financial position of your customers. While you have limited control of the external factors, you can and should control and influence the internal factors in a way that they enhance the long term valuation potential of your business. Some of these decisions may be at odds with your short-term needs for cash/revenue; therefore, you will have a careful balancing act to play between your short-and-long-term goals. Below, I have set out several key critical measures that you should be focused on to maximize the valuation potential of your staffing firm. Scale of revenue; Is your business large enough to be able to absorb the shocks and pressures of business downturns, economic cycles and leadership turnover? Smaller revenues represent risk to a buyer, meaning you can expect lower valuations. So build your revenues as high as possible. Is your business concentrated within a small number of clients? If this is the case, then you have adopted a risky strategy because if one or two major clients leave it could be devastating for your firm. While this approach may bring you good short-term revenue, it represents risk to a potential buyer and will mean you receive a lower valuation. Where possible, spread your business out across a larger number of clients. How diverse is your client portfolio? While it is a perfectly good practice for firms to specialize in a sector such as IT, it is important that you have a diverse range of clients within your specialized area so your risk is evenly spread, should one area of the IT market suffer a downturn or become more competitive due to the entry of a new player. If your client portfolio is too narrowly focused the buyer will sense risk and this will negatively affect your valuation. Spread your risk. Build and develop a strong management team. A high performing, engaged and stable/long-serving management team will increase the potential value of a firm significantly. A team that has performed well for a long time is likely to continue to perform well and is therefore attractive to a buyer. Firms that are dependent on one key person represent a risk to buyers and will have a lower potential valuation. Develop high quality client relationships. By high quality, I mean long standing relationships with a broad range of clients with average assignment lengths of six months or longer. This is a good indicator of revenue stability, which will reassure a potential buyer and will increase your potential valuation. Maintain sufficient contract gross margins. In the staffing sector, gross margins that are much below 25 percent will be of concern to a buyer and are likely to result in a lower valuation. Remember bottom line/EBIDTA profits expectations can vary from industry to industry. Eight to twelve percent should be considered a healthy margin to aim for and will result in an optimal valuation for your firm. 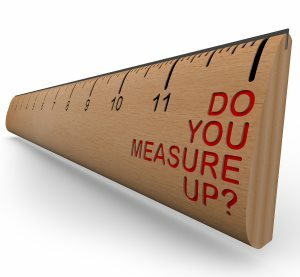 Measure top line growth rate. This is another good indicator of the effectiveness of the sales and operations engine of the business. Ten percent CAGR (over three years) represents a solid growth rate and 20 percent or higher is exceptional. The higher the CAGR the higher the potential valuation. By working to ensure that your staffing firm excels in all the key indicators listed above, you can maximize the long-term valuation potential of your business. As I said the short term need for cash and turnover may at times impede your ability to focus on the long term measures, so ultimately you may need a balanced strategy requiring you to keep one eye in the present and one eye in the future.